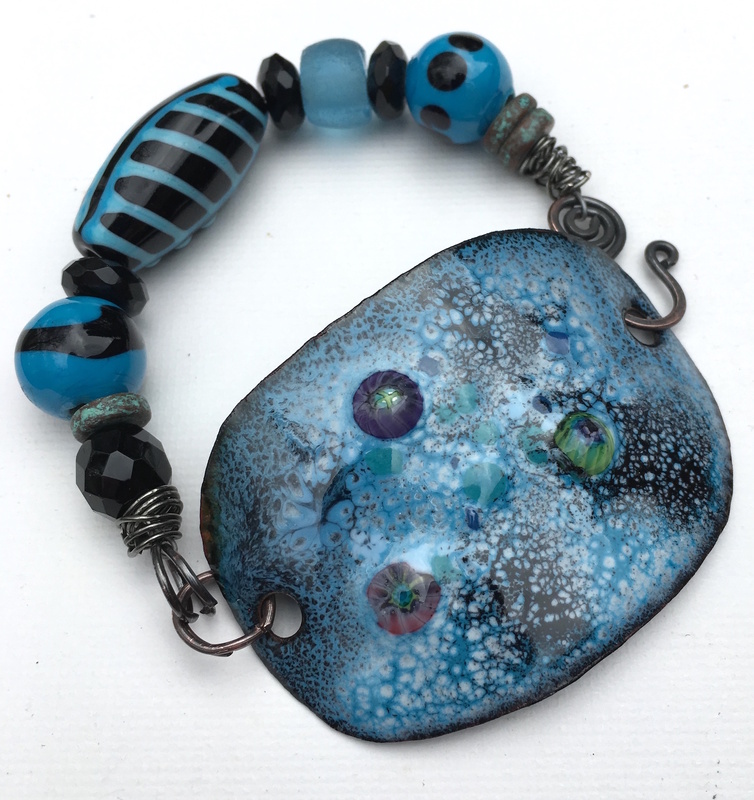 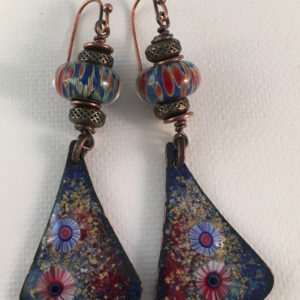 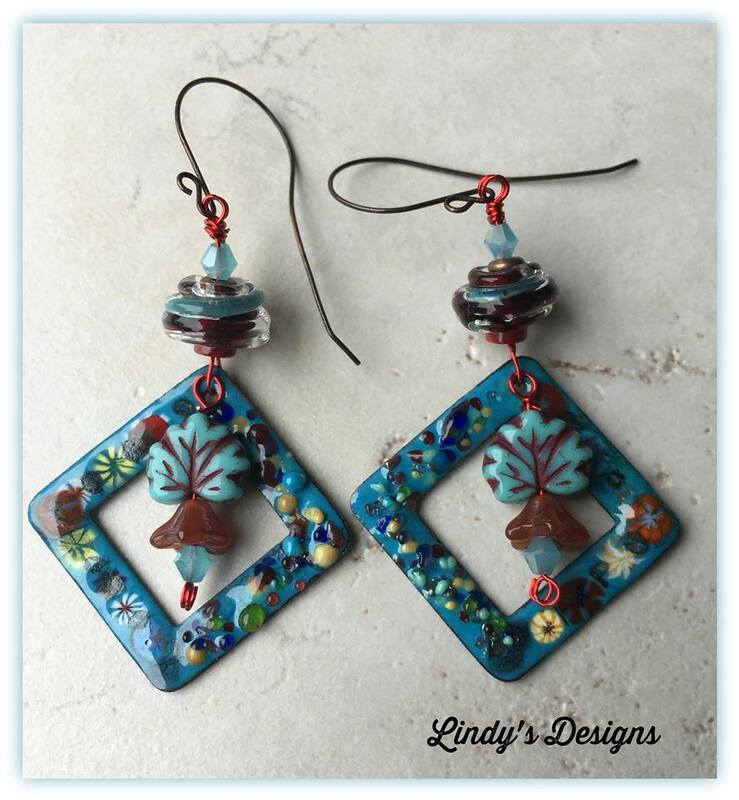 Enamel square focal charms in teal blue with multicolor flora accents are combined with Czech glass flowers, Swarovski crystals and coordinating Artisan lampwork beads to make a stunning spring earring. 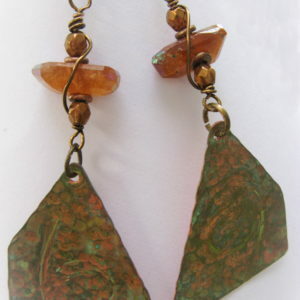 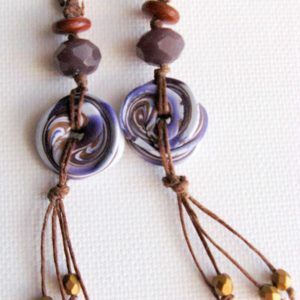 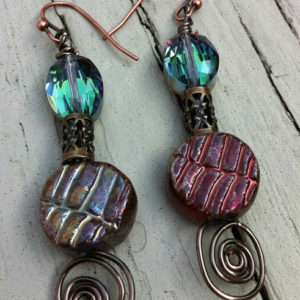 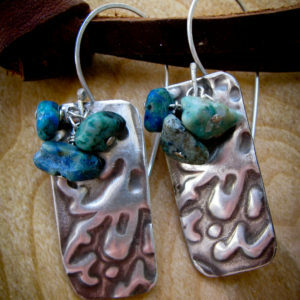 These are hung on handmade copper earwires and measure approx 3″ from mid earwire to bottom of charm. 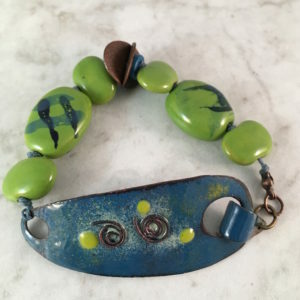 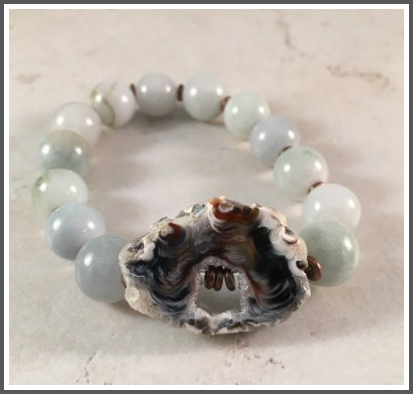 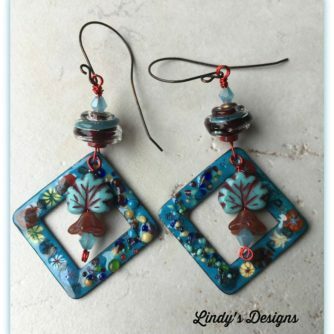 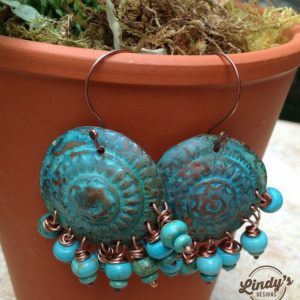 All Lindy’s Designs products are unique one-of-a-kind and come in gift box ready for giving.